The car is now finished, so this site now exists as a reference for other builders who are still on the journey. A little bit of background info.... 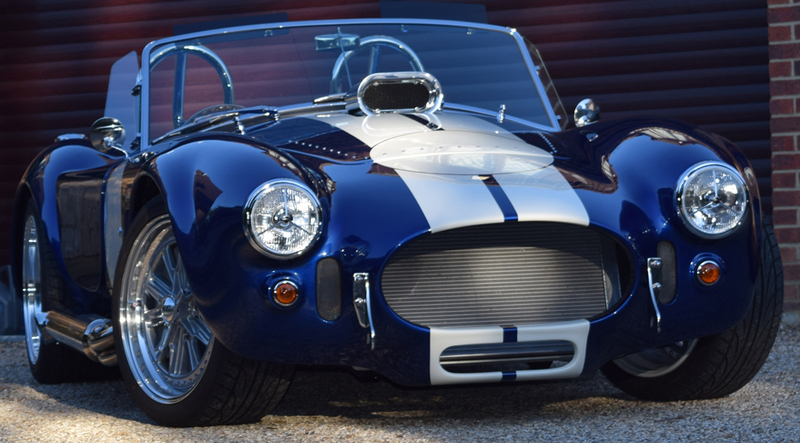 The desire to own a cobra has been with me since birth, or at least it feels like that, but with life, love and other fantastic interruptions along the way it was never the right time, or I didn’t have the space / spare time / money etc, until now! So finally at the Stoneleigh Kit Car show 2005, with the consent from my ever loving wife, the order was placed for the Dax DeDion Chassis, Suspension and everything else I needed to get to stage one the rolling chassis and start my kit. However I had to wait till 2009 to take delivery as we needed to move house to get a double garage. Lisa my wife - for putting up with my need for boys toys! Dad - for building the best work bench ever. Alan - for all his help in the assembly, swearing and beer drinking. Everyone else for their generous gifts to help with the build.